Have you noticed? It seems more and more that there is incivility around...that people are behaving in uncivil and nasty ways. This can have a profound affect on workplace productivity and the well-being of both individuals and the organization itself. Find out what to do in this episode. 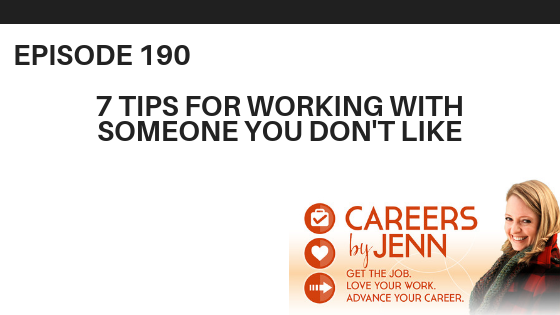 Do you feel frustrated when you go to work and have to put up with someone you don’t like for your entire shift? What if you work with that person all the time? How can you navigate your feelings and manage when you just feel annoyed every time you interact with them? Here are 7 practical tips on what to do. Join me as I find out from guest executive coach Stefanie Krievins exactly what a Professional Troublemaker is, and why we should each be one, in this podcast episode. When someone says or does something to you - on purpose or inadvertently - that crosses the line...it can be hard to know how to respond.